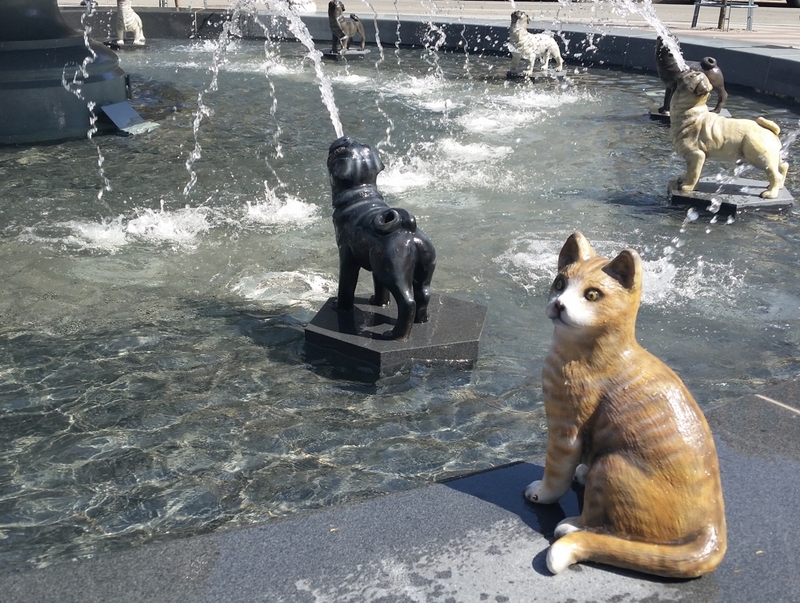 Not for dogs, but covered in dog sculptures spouting water as they look up to the golden dog bone at the very top of the fountain. A cat sits at the bottom level of the fountain, disdainful of the treasure the dogs seek. 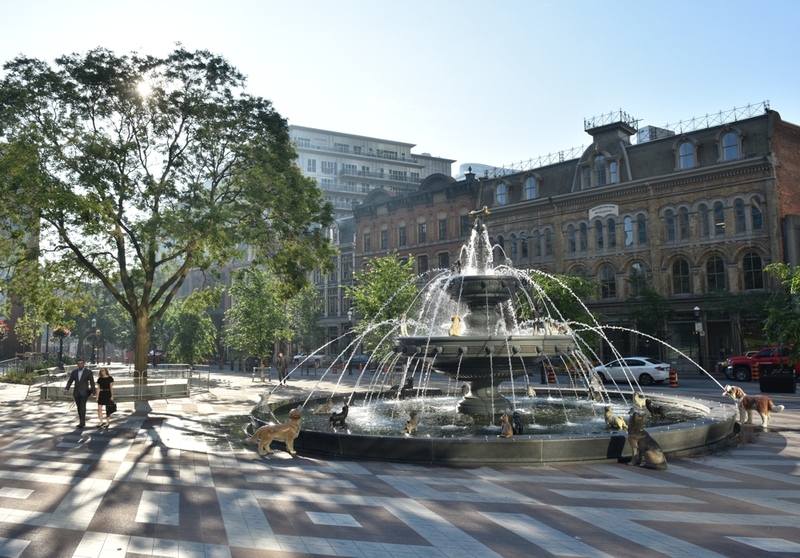 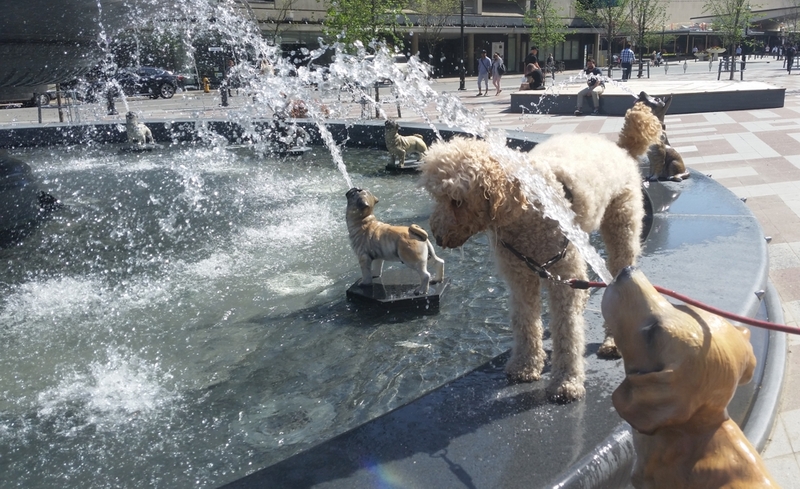 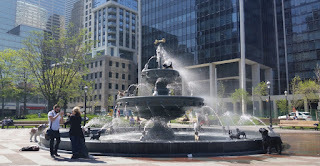 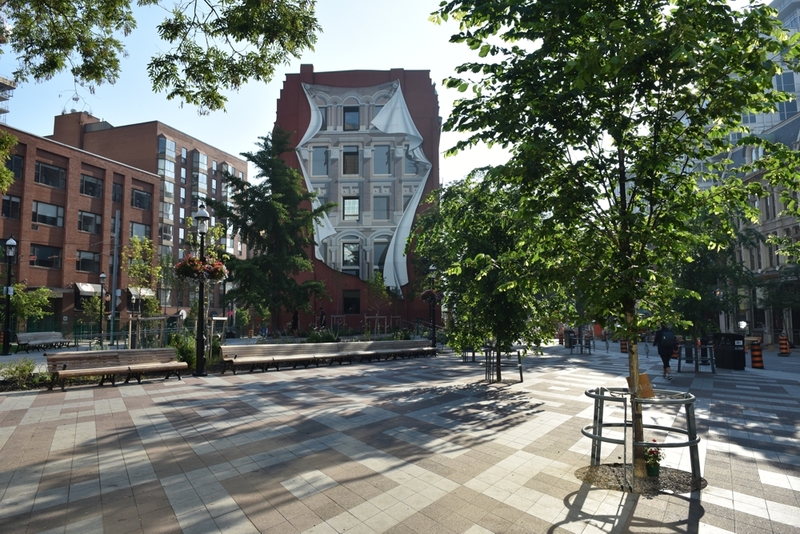 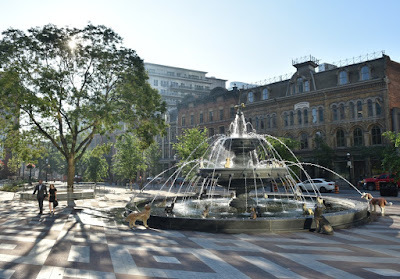 The Berczy Park blog says that the fountain is not a splash pad and dogs and people shouldn't be swimming in the water. 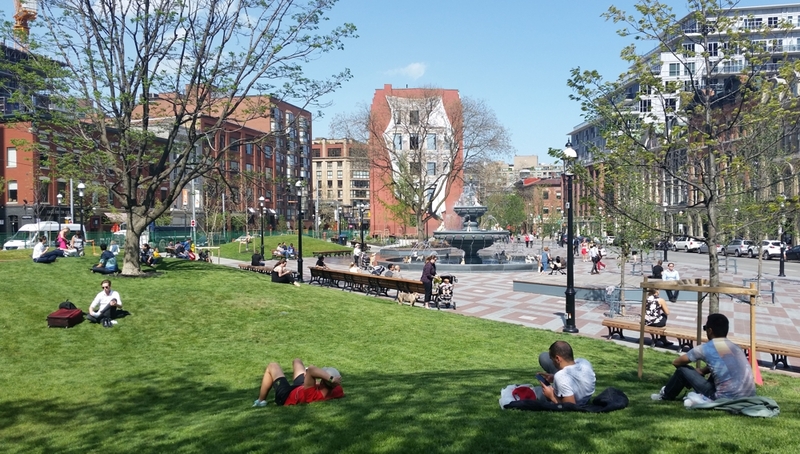 The park is ready for enjoyment as the landscaping has been finished and the fences have been taken down. The water was flowing in the fountain but the last couple of times I visited the water has been off. 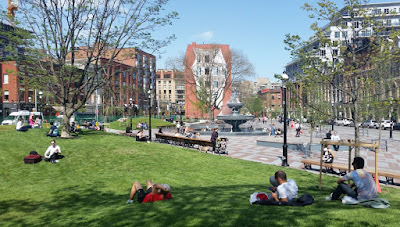 You can see some of the upgrades as they were almost done as well as what the original park looked like on my early posts.